Rabbi David Schuck Rabbi David Schuck joined the Beth El team in 2015 after serving as the spiritual leader of the Pelham Jewish Center for 11 years. He is an adjunct lecturer in the Professional and Pastoral Skills Department of the Rabbinical School at the Jewish Theological Seminary and a former faculty member in the rabbinical school of the Academy for Jewish Religion where he taught Professional Skills. Rabbi Schuck grew up in Mt. Laurel, NJ, and has a Bachelor of Arts in Political Science and Middle East History from Rutgers University. Rabbi Schuck was ordained by the Jewish Theological Seminary in 2004 where he was awarded the Lillian M. Lowenfeld Prize in Practical Theology and the Israel H. Levinthal Prize in Homiletics. Rabbi Schuck was privileged to visit Russia on a rabbinic mission with the UJA Federation of NY, as well as participate in the Young Rabbis Delegation service-learning trip to Ghana with the American Jewish World Service. He has served on the UJA Federation’s Commission on Jewish Identity and Renewal for the Former Soviet Union as well as the boards of the Westchester Jewish Council, Pelham Guidance Council, the Westchester Inter-Religious Clergy Network, and the Mount Vernon Soup Kitchen. Rabbi Melvin N. Sirner was born and raised in Chicago, Illinois. 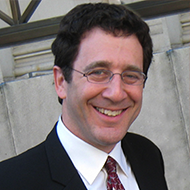 He pursued undergraduate studies at the University of Michigan, receiving the degree of Bachelor of Arts in political science and psychology, whereupon he began his formal rabbinical studies at the Jewish Theological Seminary of America. While at the Seminary, Rabbi Sirner was the recipient of the Lamport prize in Talmud, and the Rabbi Israel H. Levinthal Award in Homiletics, and was awarded the degree of Master of Hebrew Literature. One year of academic training was spent in Jerusalem, where Rabbi Sirner studied at the Israel branch of the Seminary, along with the Graduate Department of Judaica of the Hebrew University. In 1972 he received his Rabbinic ordination. Sam Blustin is a 4th year rabbinical student at the Jewish Theological Seminary. For the last year, he has had the pleasure of working with Beth El families in the religious school as the Rosh T'fillah, teaching prayer through music. In addition, this past year he served as the songleader/prayer leader at Chizuk Amuno Congregation in Baltimore, bringing his love of music and prayer to congregants of all ages. Sam is a Ramahnik as well, working the past two summers at Camp Ramah in Wisconsin as the head songleader. Cantor Uri Aqua has been affiliated with Beth El Synagogue Center since 1987. A native of Rehovot, Israel, Cantor Aqua earned a Certificate of Teaching from Lifshitz Teachers Academy in Jerusalem, studied at Hebrew University and obtained both a B.A. degree and a M.A. degree from the Jewish Theological Seminary in Manhattan. Cantor Aqua’s musical career began in elementary school when he was selected as a soloist in his school choir. In high school, he performed the role of Chazzan for Shabbat and High Holiday prayers with the guidance of established Chazzanim from Jerusalem. Cantor Aqua continued to perform as a Chazzan even as he served in a combat unit in the Israeli Army. Hazzan Farid Dardashti is Hazzan Emeritus since July 2011. He joined Beth El Synagogue in the summer of 1997. He is descended from a long line of classical Iranian vocal artists and hazzanim. As a teenager in his native Teheran, he was the featured artist on a weekly TV show. Later, he studied at the Mannes College of Music in New York City and graduated from the H.L. Miller Cantorial School (Cantors’ Institute) of the Jewish Theological Seminary. Jack Klebanow, Music Director, is excited to be part of Beth El’s prayer team, helping to build community and to create deep, aesthetic and spiritually moving experiences. Jack is a multi-instrumentalist with a broad musical background, including composing and arranging as well as performance in classical, pop and Jewish repertoires. Important music teachers have included Laurence Honan, Luise Vosgerchian, and Al Goltzer. Deborah Sacks Mintz is a transformative prayer leader and musician, who has served innovative institutions around the country as a teacher of Torah and communal Jewish music. 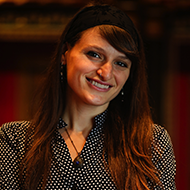 As the Community Singing Consultant of Hadar’s Rising Song Institute, Deborah serves as a resource to those seeking to cultivate the grassroots musical and spiritual creativity of the Jewish people.